Hey there Weevils, this is TopDog360 from Binweevils and we have great news for all of you today. 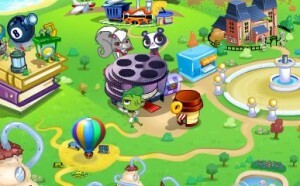 June is packed with a bunch of new stuff but one of the biggest things is the new Binweevils Rigg’s Movie Multiplex theater. This is one of the biggest new features added to Binweevils since the changing of the new look a couple months ago. When you go to Rigg’s Movie Multiplex you have several options of what you can do. You can either watch TV shows, shop for Home Cinema items and can even collect your earnings at the Cash Machine. It sounds like a lot of fun and will surely be a place where there will be a bunch of Weevils hanging out and playing. We hope to see all of you there and don’t forget to add us to your friends list when you see us. We love meeting new Weevils! It is that time of year again to start celebrating Easter and there is nothing better than joining the Binweevils Dosh’ Palcace Easter Egg competition. If you have participated in this Binweevils competition before than you know what to do. If you are knew to the game then follow the instructions below. 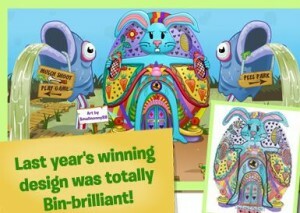 First head over our Binweevils main site and download the printable template of Dosh’s Palace. Next, its time to use your imagaination. You can use whatever you would like to decorate your Easter egg including paint, colour and glitter. When you are done you need to enter your painting or coloring into the contest. To do so, you email your artwork to competitions@binweevils.com. Don’t forget to include your Binweevils username or you will not get credit for the art work that you have done. 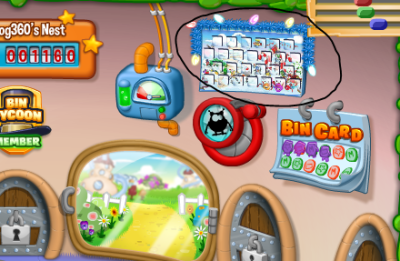 The Binweevils Advent Calandar is a new feature that showed up on Binweevils on the latest game update. This is a fun way for Binweevils players to sign in and get some free items including dosh and mulch coins. 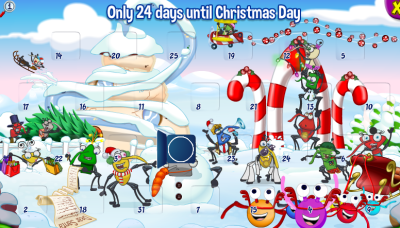 The Binweevils Advent Calendar can be accessed from your very own nest. When you are in your nest you should see a calendar looking thing hanging from the top right. You will also see Christmas lights wrapped around it that are blinking. Click on the calendar to open up each day box. If you are a member you can click on any box from present to the past; however, if you are not a member then you can only click on the present box to open it. Each box you open will have a unique prize anywhere from a nest item, garden item, free dosh coins or mulch coins. This month’s Binweevils Advent Calendar holds 15 exclusive nest items, 2 exclusive garden items, 100 dosh coins, 3000 mulch and 300 xp. This Advent calendar ends on the 5th of January so make sure you take full advantage of it to get free stuff. If you are not a member check out how to become a Binweevils member here to get all the access to all the game features. There is a lot of new stuff happening on Binweevils right now and the latest is the new look of the Flem Manor. 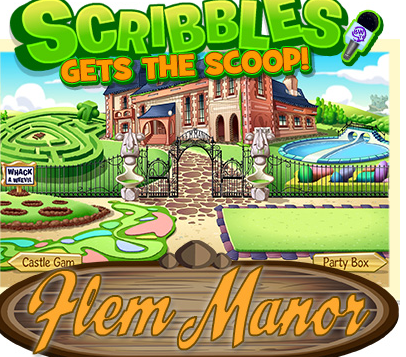 If you haven’t checked out the new Flem Manor on Binweevils then you need to as soon as you can. It is twice as better as it was before and there are so many new features added to it. This is now the best mansion in the Binscape, well according to some of the Binweevils players. Some love the new Flem Manor while others don’t. I guess you will have to check it out for yourself to see if you like the new Flem Manor or not. Regardless, the Binweevils team took a while to build it and to make it look really cool. let us know what you think of the new Binweevils Flem Manor by leaving a comment below. BinweevilsWorld was created by TopDog360 back in 2013 to keep players like you up to date with all the new Binweevils information. BinweevilsWorld averages 1200 visits per day with and averages 40,000 views per month. Our goal is to double that by the end of 2014 and to be the number one Binweevils website on the internet. Right now we only have a couple authors helping out and we are looking to expand our team with Binweevils players like yourself. If you are interested in becoming an author on BinweevilsWorld.com then email us at binweevilsworldcom@gmail.com. Every day we make new Binweevils friends and are well known in the game and in the internet community. We are looking for authors that will represent this website as a professional and with respect. If you want to join our Binweevils team then send us an email and we will get back to you as soon as we can.